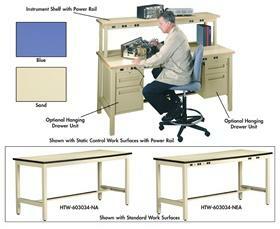 Ergonomically designed workstations adjust from 34" to 40" high. Choose from standard work surface almond color with black edges or static control work surface almond color with oak edges. Grounding Kit for the static control work surface sold separately. An 8-outlet power rail is available with either surface. Extra storage space is available above the main work surface with instrument shelf or the cantilever accessory system. Storage space beneath the work surface is available with one, two and three drawer pedestals. Available in Blue or Sand. Shipped unassembled. FOB Shipping Point. 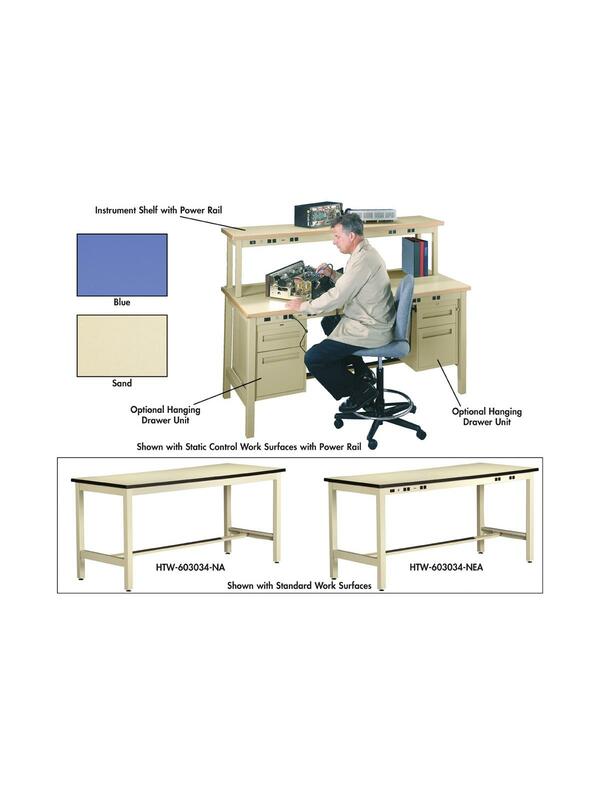 See Related Items tab for Workstation Grounding Kit. 60 x 30 x 34-40"60 30 34-40"